Capsule (water, gelatin) and inulin. 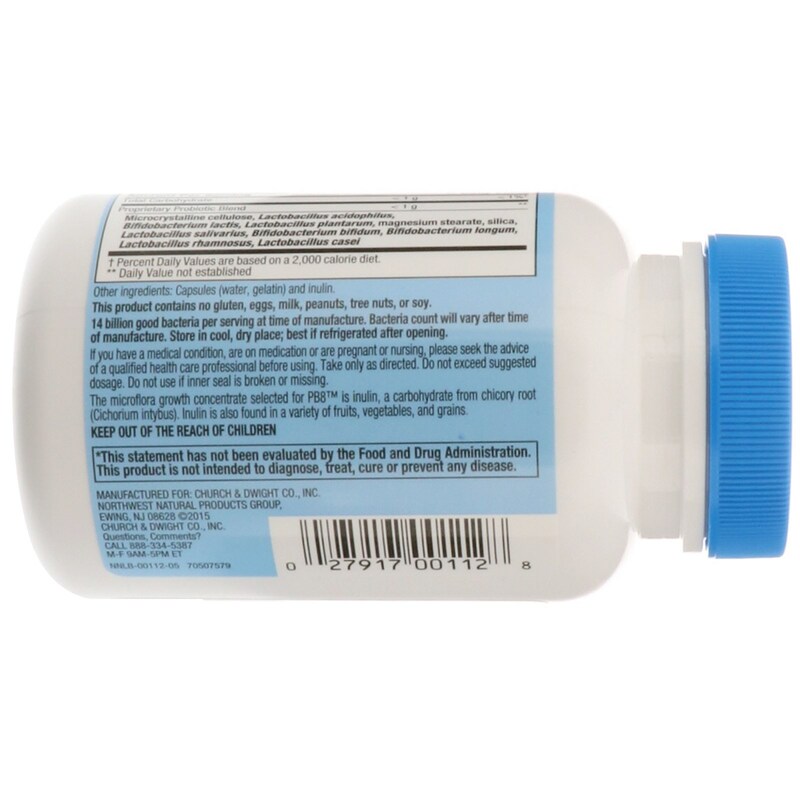 This product contains no gluten, eggs, milk, peanuts, tree nuts, or soy. 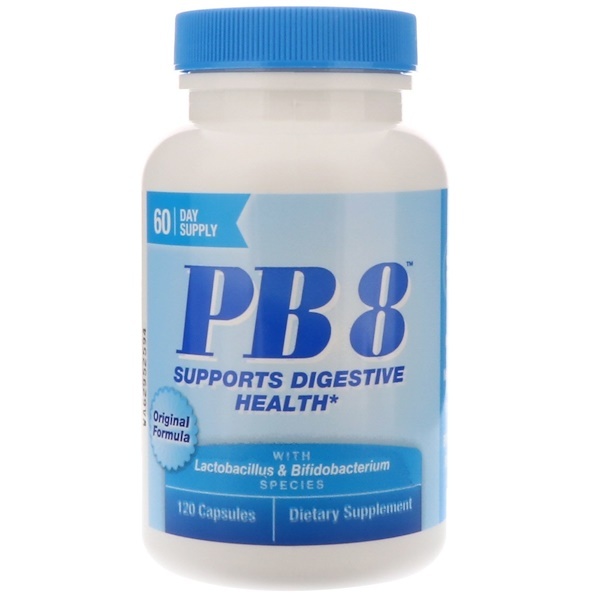 The microflora growth concentrate selected for PB8 is inulin, a carbohydrate from chicory root (Cinchorium intybus). 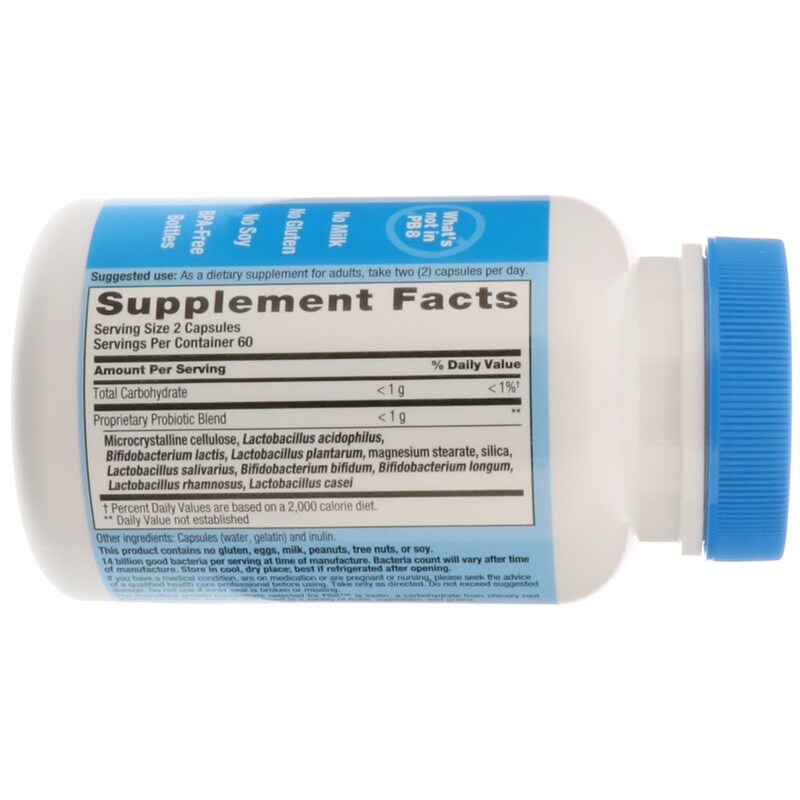 Inulin is also found in a variety of fruits, vegetables, and grains. 14 billion good bacteria per serving at time of manufacture. Bacteria count will vary after time of manufacture. Store in a cool, dry place; best if refrigerated after opening. If you have a medical condition, are on medication or are pregnant or nursing, please seek the advice of a qualified health care professional before using. Take only as directed. Do not exceed suggested dosage. Do not use if inner seal is broken or missing.